Aaaaahhhh Easter! That time of year when we stuff ourselves with chocolate easter eggs and spend time with family and friends. Easter is a great time for kids, who love the idea of eating loads of chocolate eggs. The Easter egg hunt, the family arguements over a lunch feast...its all fun and games, but who organises such a fabulous event? Who does all the cooking and hides the eggs? Usually somebody who puts in a lot of effort to make the day nice for you and your family deserves a special treat for all their effort..Don't you agree? 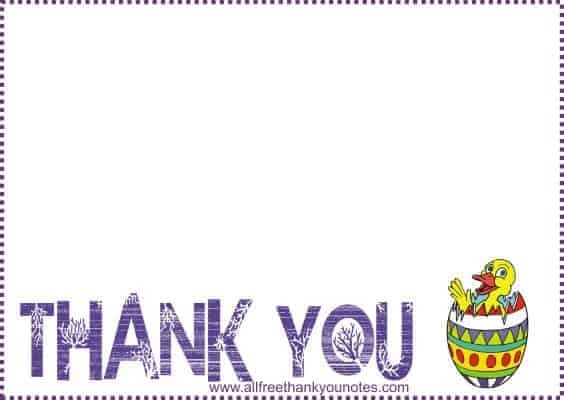 How about a lovely thankyou note for the easter party organiser? As it happens, I have loads of free printable thank you notes and cards available on this website that suit this purpose perfectly! 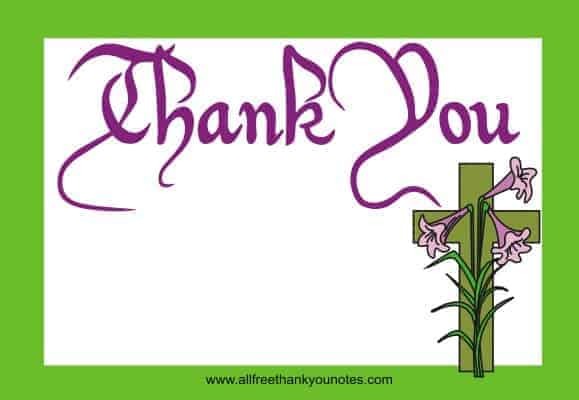 Choose from a range of easter themes and you might also like to try my religious range if you prefer a more religious-orientated thank you note. Click on the thankyou note or card you like to open a larger printable image. This is a free site so feel free to print out as many cards and notes as you need for your occasion. Thank you notes and cards are easy to download and print from home. Once you have printed them out you can hand deliver your note or send in the post. Either way, I am sure the recipient will be very pleased to receive a lovely thankyou note card with your personal message. As always, my websites are always free for your personal use.